Halibut is the most iconic catch for the many sea anglers who make the yearly trip to Norway or Iceland to catch this giant. That is why Penn has created the Regiment Halibut! This beautifully finished rod has a SLS 3 carbon blank. 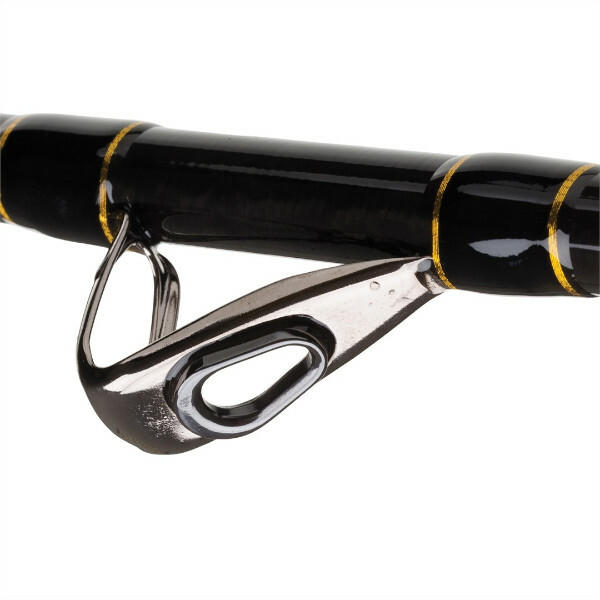 These rods have a total length of 2.40 m and feature a robust reel seat and rubber gimbal for those truly long and difficult fights. The comfortable EVA grip offers maximum comfort when fighting a fish while the sensitive tip offers excellent bite indication when fishing with deadbait. These 2-piece rods come in a cloth bag and Cordura rod tube for transport.